Give yourself a royal treat in the Royal City of Krakow and begin it all with a stylish hostel which we have created with you in mind. 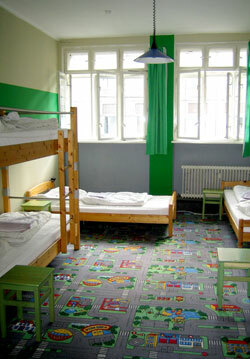 The DECO HOSTEL, opened in June 2005, is located in a renovated ART DECO style building erected in the nineteen-thirties, and it is still redolent of the interwar period. Located only a 15-minute walk away from the Market Square and the Main Railway Station, outside of the limited entry and parking zone for motor-cars, it is a convenient starting point for all those who plan to visit Krakow. We offer double, four-bed and eight-bed rooms, with comfortable single and double beds, with spring mattresses and a daily change of bed linen. Everything is new, with a touch of art deco style. The young multi-lingual staff will advise you on what is worth seeing (and what’s not!) but the kind of things which are usually left unmentioned by a typical city-guide. All of this at affordable prices. As a newly-opened place we’re offering special prices. Make the most of it! 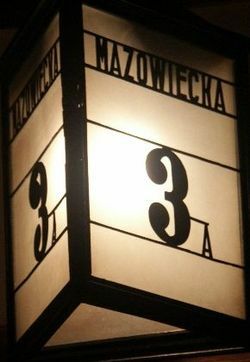 Enjoy Krakow and find your own place. See you there!